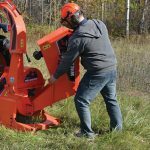 Home / Wallenstein Forestry Equipment / Wallenstein Woodchippers / Wallenstein BX102s PTO Woodchipper, 10″ Diameter – ON SALE!! 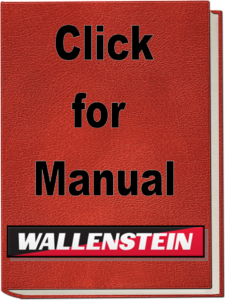 View cart “Wallenstein WP1624 Firewood Processor” has been added to your cart. 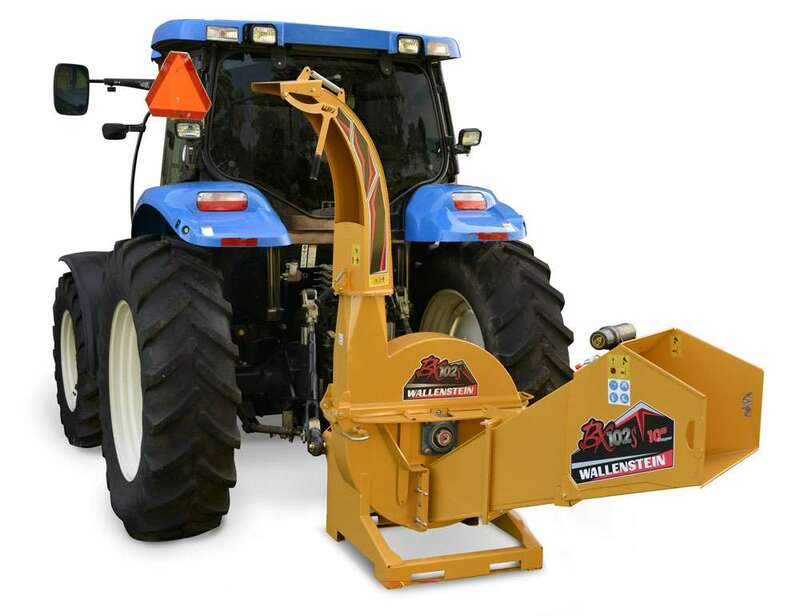 Wallenstein BX102S PTO Woodchipper, Self Feeding, 10″ Diameter. 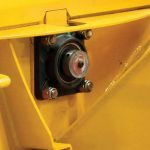 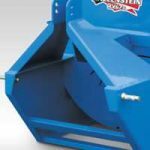 The Wallenstein BX102s PTO Woodchipper is a Self-Feeding chipper that automatically pulls in limbs and branches up to 10″ in diameter. Do You Have a Color Preference? 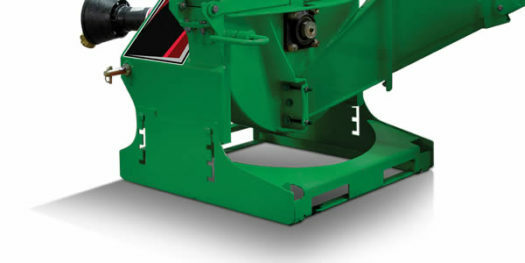 Green, Orange, Red, or Blue? 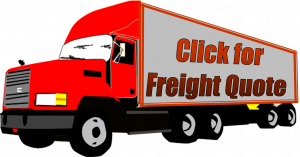 If so, please type in your preferred color on the thin line below. 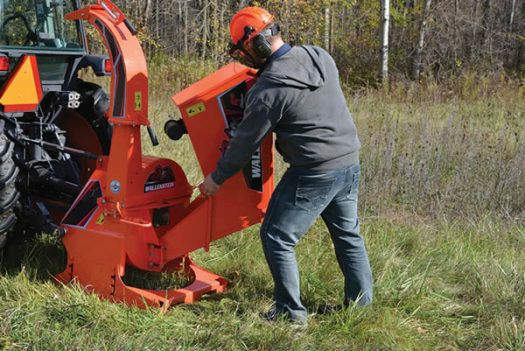 The Wallenstein BX102S PTO Woodchipper is a Woodlot Owner’s Favorite Chipper! 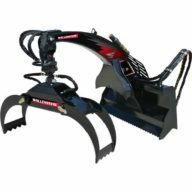 The Wallenstein BX102s PTO Woodchipper is a Self-Feeding chipper that automatically pulls in limbs and branches up to 10″ in diameter. 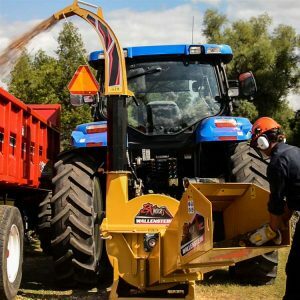 The chipping action is powered directly from your tractor’s PTO. 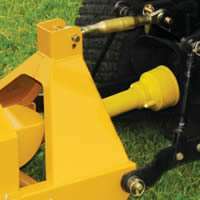 The hopper easily folds up for a compact transportation. 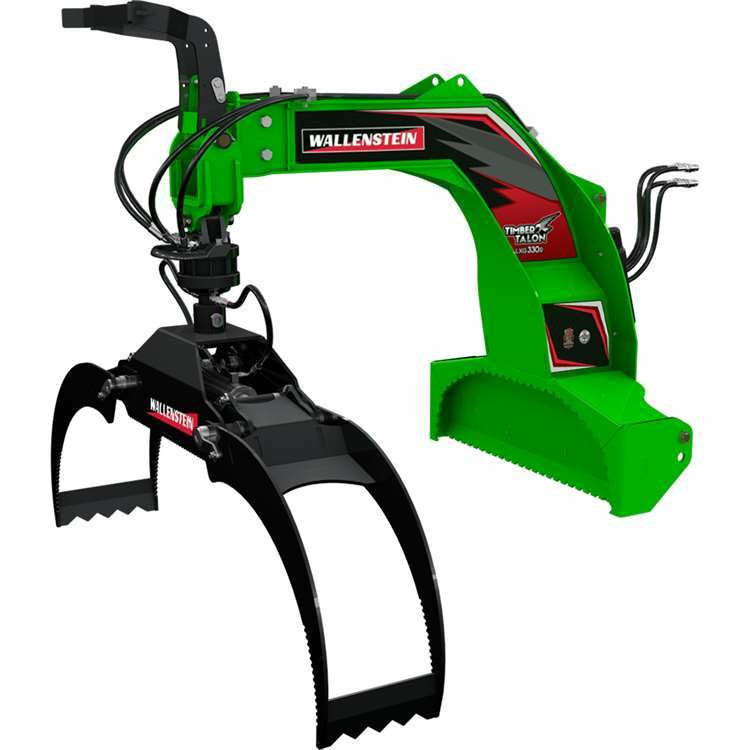 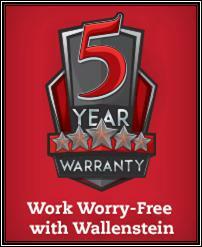 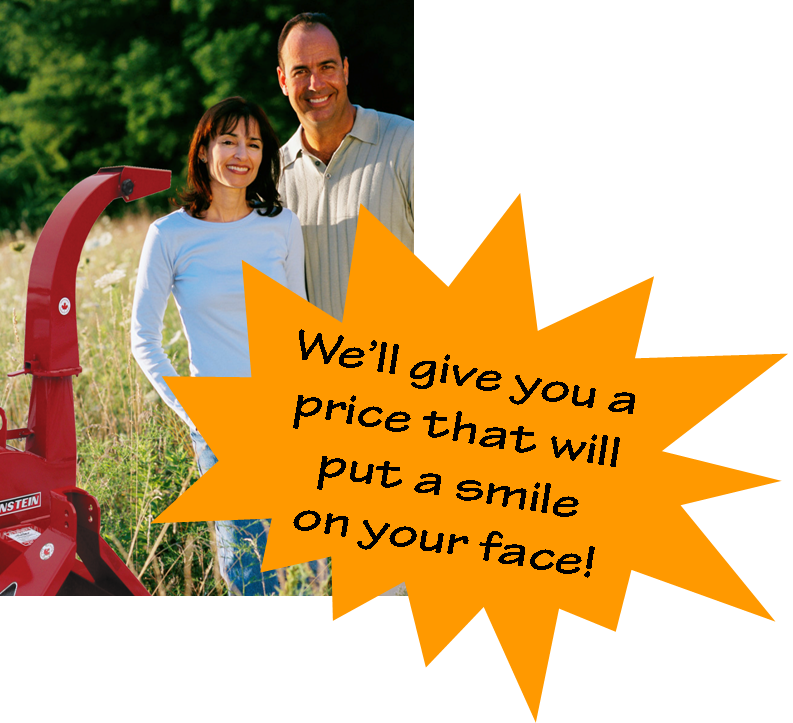 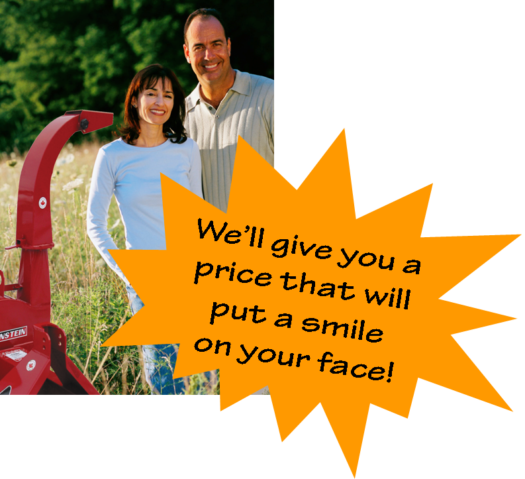 Wallenstein Woodchippers are I-Match Compatable! 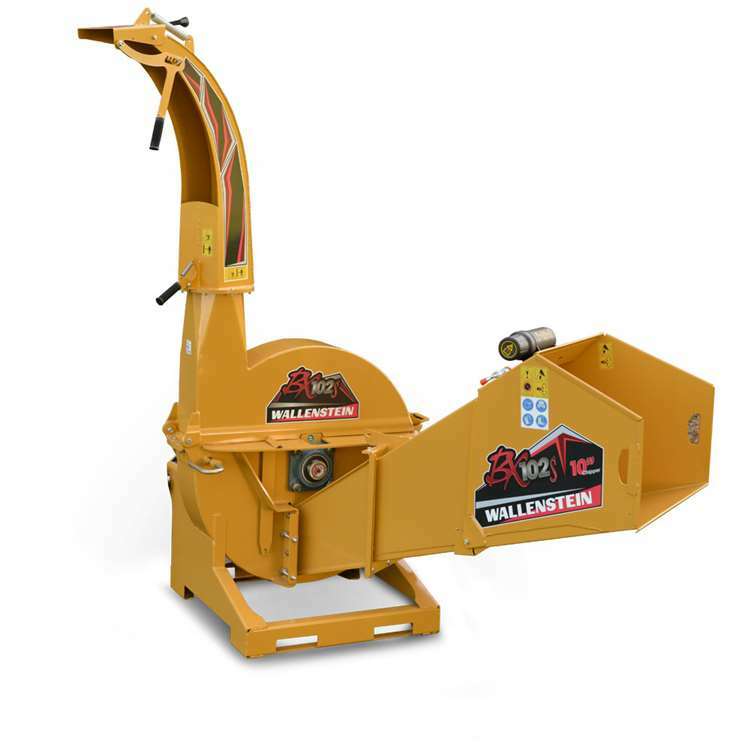 Wallenstein BX102s PTO Woodchipper is built just across Lake Erie in Ontario, Canada is a region known for its superior steel and quality workmanship known as the Kitchener Area. 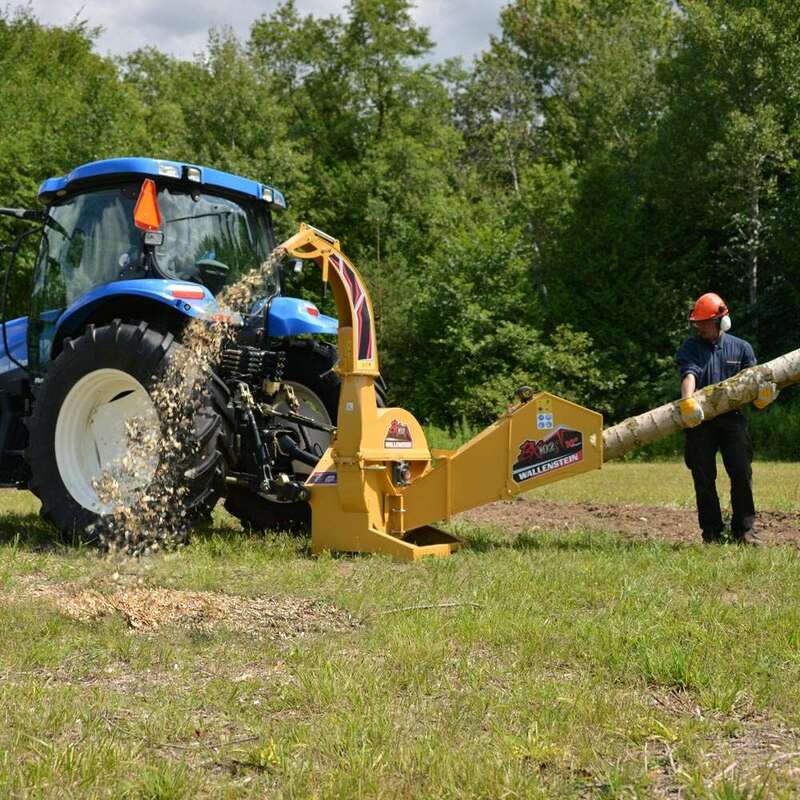 This is home to EMB Manufacturing, the makers of Wallenstein Farm and Forestry Equipment. 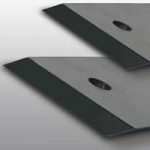 Designed to chip wood into valuable wood chips with an oversize heavy duty rotor and reversible chipping blades. 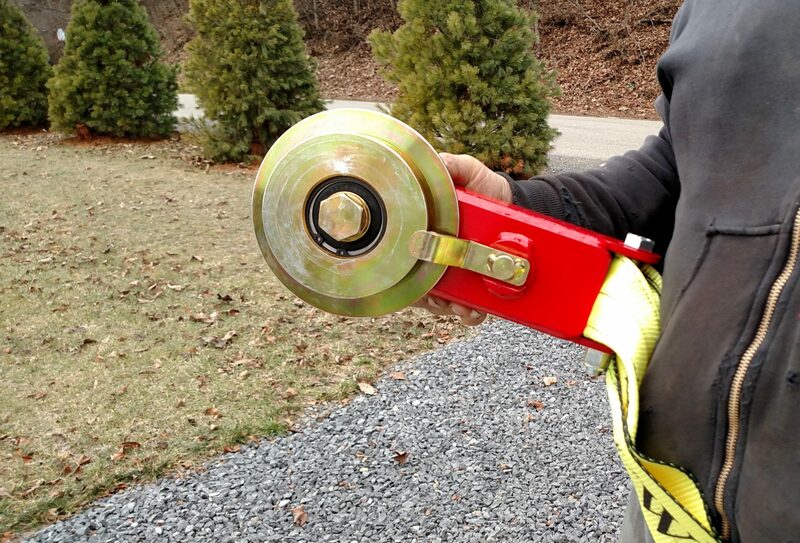 The large diameter rotor has a faster tip speed for improved chipping action and the heavy gauge steel keeps your momentum to power through 10” diameter wood and tree trunks. 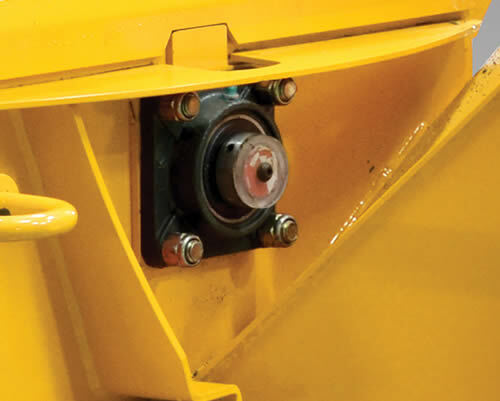 Easy Access to the Blades and Rotor! 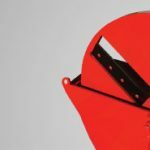 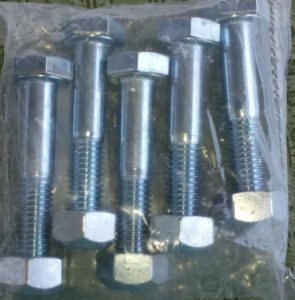 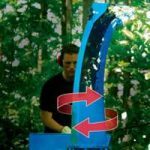 Fold Up Hopper – No Tools! 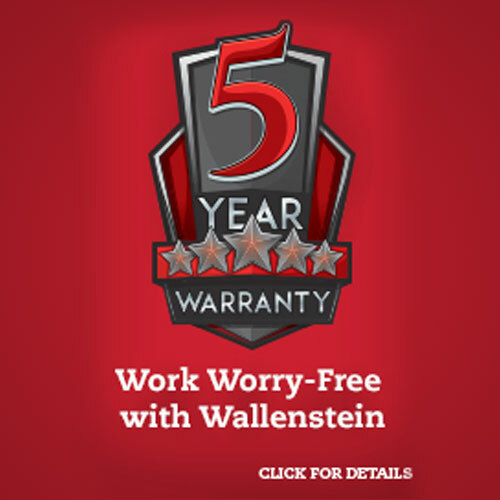 Whether you are comparing the Wallenstein to the DR, Frontier, Bearcat, Pequea, Champion, Liberty, Jinma, MacKissic, Salsco or others—you’ll readily see that indeed, the Wallenstein is the best bang for the buck! 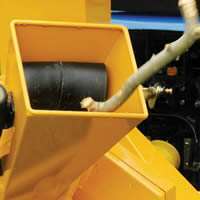 The best quotes for shipping Wallenstein BX102s PTO Woodchipper are: Business to Business shipments.